The Coca-Cola Company has been adamant in keeping information about their Super Bowl commercial. Even though people in that company are tight-lipped, there are some hints about how their ad during the big game in February 2 will look like. Football fans who are anticipating the advertisements during the game will no longer see cowboys, racings, deserts, and showgirls for this year’s Coca-Cola ad. According to Coke’s vice president of advertising Jonathan Mildenhall, this year’s Coca-Cola ad in the big game will be about celebrating the American Society and Coke’s role in it. The VP released images showing fancy bright light, amazing dancers, fun roller skaters and more. It will definitely be a new Coca-Cola ad this year for the Super Bowl ad on Feb 2 at the MetLife Stadium East Rutherford, New jersey. Coca-Cola raised the bar last year with an interactive ad. In last year’s ad, Coke let the fans decide how the ending of their commercial would be. The brand was also under media heat when controversy sparked about their ad being racist. This fact became an advantage for them as it gave the brand more publicity. Pepsico is already promoting the Super Bowl halftime show, which it is sponsoring. The half time show for this year’s big game will feature Bruno Mars. They started playing ads to promote during the kick-off of the postseason to promote the half time show. Trademark Pepsi senior director Lou Arbetter said the game was going to be big. Pepsi has always been advertising in the big game almost every year since 1986. Just last year, the company devised a plan to stand out from the rest of the advertisers; they started sponsoring the halftime show. The month long ad that started during the first Saturday of the playoff, Pepsi shows its own version of how halftime started. The ad shows a 1920s football game that stopped when a car full of women broke down. The game was supposed to continue, but they can’t resist what the women have; they got Pepsi. So, they went to a break to help the ladies fix their car. The guys came up with a name for the break; halftime. And that is how halftime was born, according to Pepsi. Pepsi bought a 30-second ad slot during the Super Bowl XLVIII right before the halftime performance. But the company, just like Coke, is not disclosing any information at all. 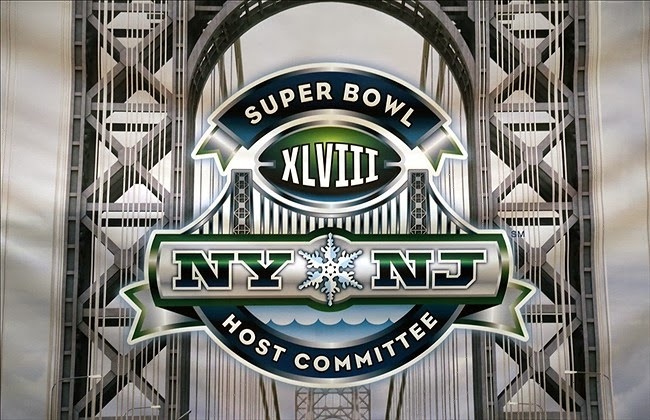 A 30-second ad for this year’s big game would cost the advertisers $4 million. SodaStream is back for the second consecutive year advertising in the big game’s ad stage. Last year the brand’s advertisement got banned for having direct attacks on its competitors, Coke and Pepsi. They showed a whole different ad instead. SodaStream CEO Daniel Birnbaum said, the big game is the perfect venue for them to advertise and deliver their message to the consumer that there is a better alternative to drinking from packaged soda.